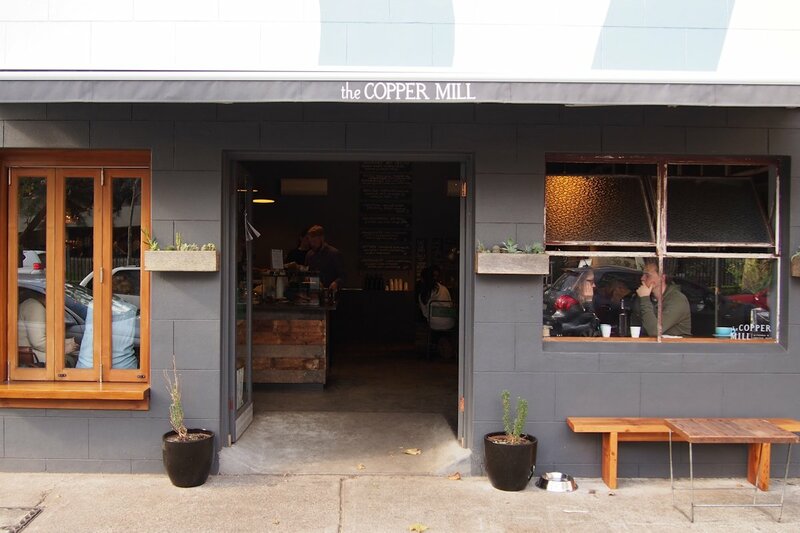 Opened in August last year, The Copper Mill is the brainchild of Rebecca Keane, Jake Thomas and Hugh ‘Cube’ Piper who first honed their skills at Shortlist Espresso (where Rebecca was the owner and Jake & Hugh, managers). Hugh is now front and centre as the chef at TCM after almost a decade of experience at various Sydney restaurants as well as in Peru. Jake is the resident coffee expert. He has been cupping coffee around the world but predominantly in Sydney and Paris. 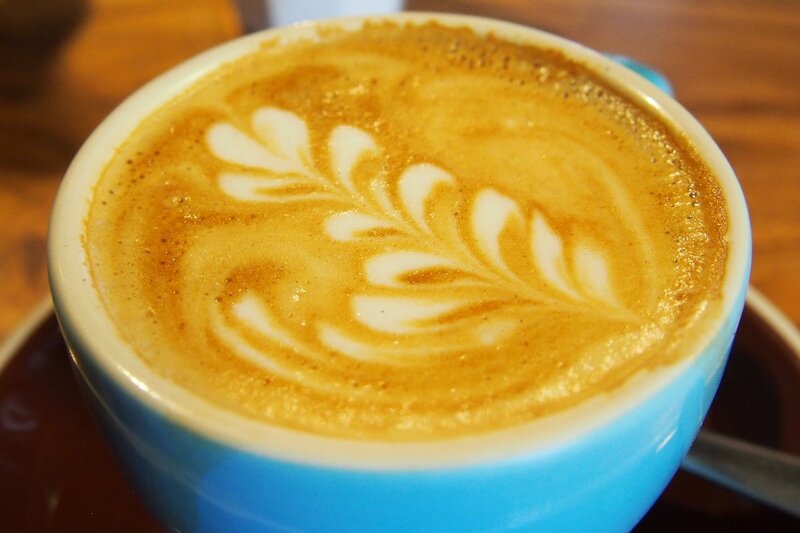 This wealth of experience brings together the elements that you would expect in the form of an exemplary Sydney café. The first thing you’ll notice about TCM is the throng of people outside either waiting for takeaway coffee or a table. 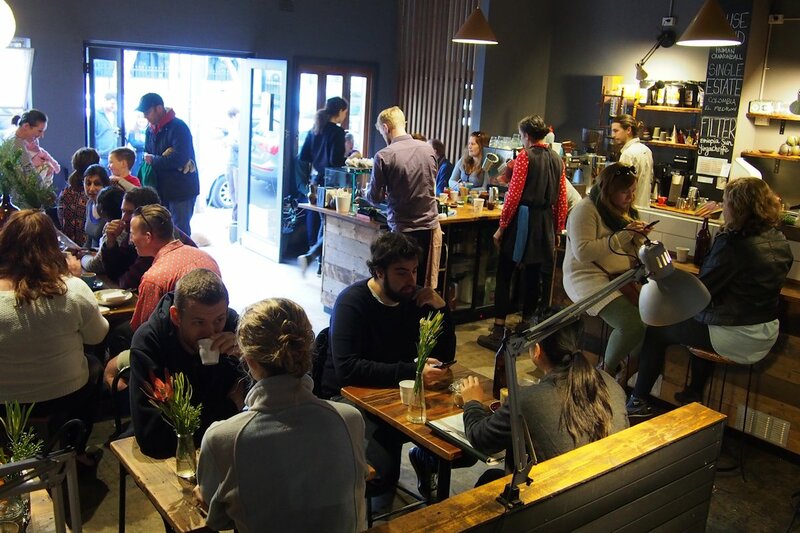 Thanks in part to a string of solid reviews but mainly due to outstanding coffee and food, TCM has exploded in popularity. I arrived reasonably early at about 9:30am and there were already at least four groups of people outside. Unless I wanted to wait, the only spot was at the counter (which gave the perfect vantage point to observe the precisely-run kitchen). 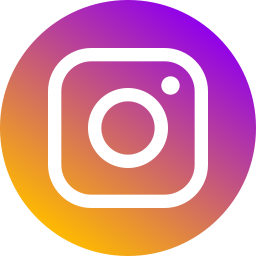 The interior features the exposed pipes, polished floors and rustic chic that has taken off in recent years as the decor of choice for trendy cafés. Rebecca, Hugh and Jake felt that this site in Alexandria would allow them to create “a local and regular community vibe”. 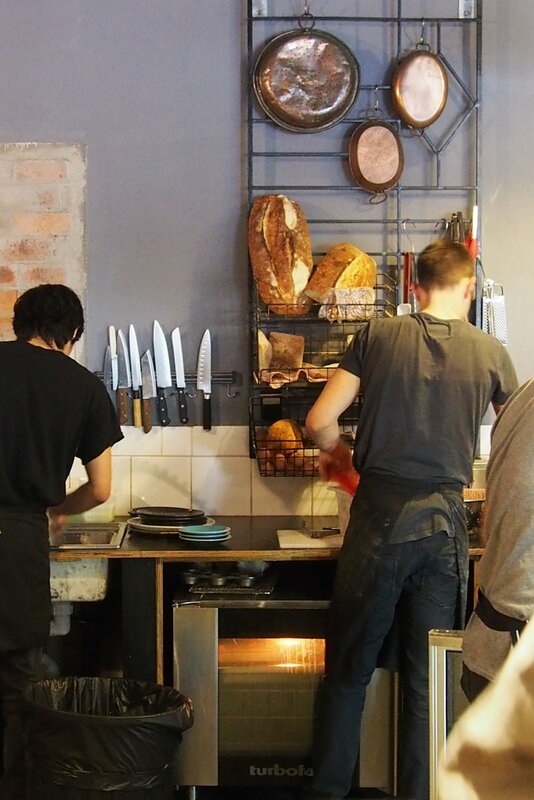 It also helps that they are close to Brickfields which is their supplier of choice for croissants and bread (everything else is made on site). TCM uses the Human Cannonball blend in all milk coffees ($3.50) which then allows them to bring in any beans they like for the black coffees. What a pleasure it was to find filtered coffee ($4.50) on the menu. After drinking it for my entire life, it’s great to see it finally catching on around the Sydney scene. 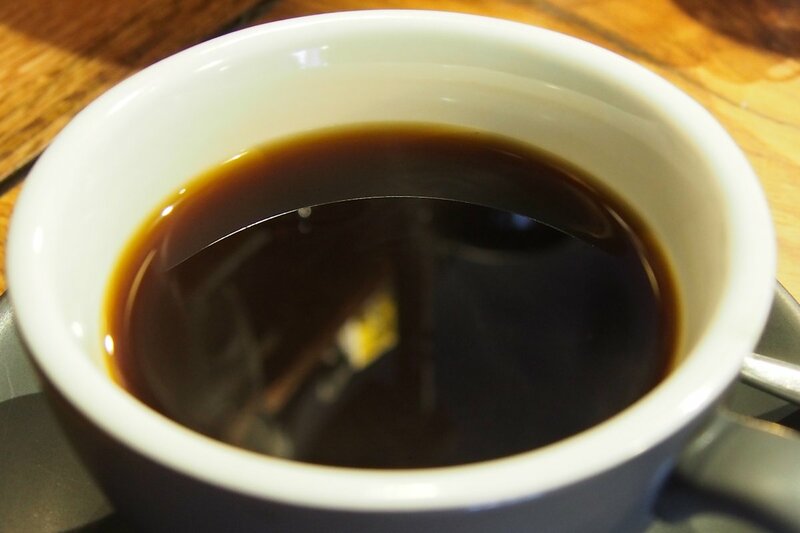 Whatever your preference for coffee type though, I doubt that you will have any complaints as you sit and enjoy. Also available are affogato ($4.50), cold coffee with ice ($3.50) or with ice cream ($5), coconut hot chocolate ($4.50) as well as teas (English Breakfast, Earl Grey, green sencha, peppermint, lemongrass & ginger, chamomile, warm spice or ‘get better’ (honey, ginger, garlic & lemon), $4). The juice changes every Saturday but gee I wish TCM would make this one permanent! My strawberry and watermelon juice with basil ($6) was absolutely fantastic. 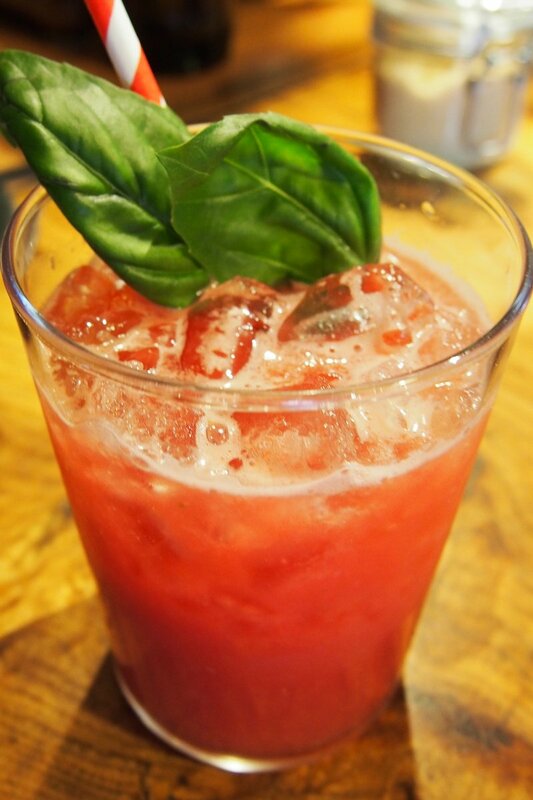 With a predominantly watermelon flavour, the strawberry hints were still enough and the basil when pushed to the bottom of the glass so that the straw rested on it, actually combined very well. Despite the ever-changing menu, there are a few items that remain constant. The bacon and egg roll ($9.50) is one of those and you should understand why simply by me saying: I would order this again without doubt the next time I visited. The smoked bacon was so plentiful that it was folded back on itself. The Brickfields roll was superbly soft and flavoursome and the capsium relish was fresh and delicious. And at $9.50, it’s an absolute bargain. You can also substitute the relish with gruyere cheese. 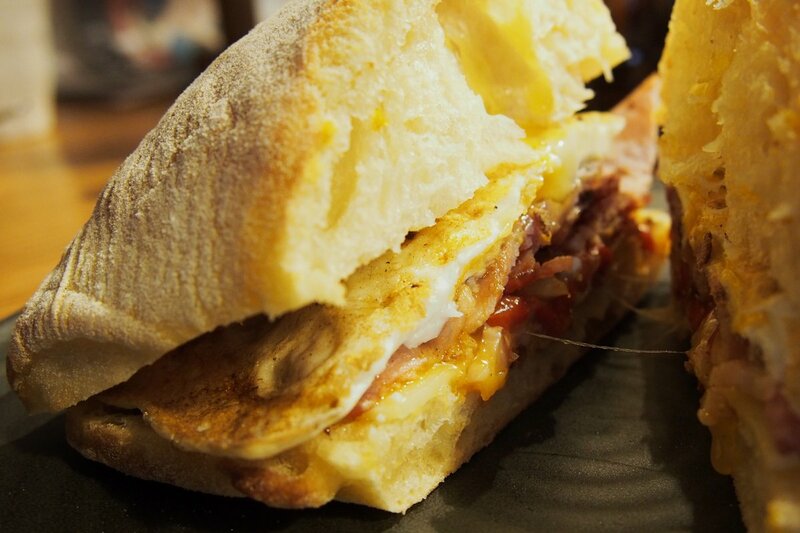 The Peruvian bacon and egg roll ($10) is also extremely popular and comes with chicharrón (pork crackling), sunnyside egg, roast kumera, salsa and mayonnaise… oh yes! I ordered the beef hash ($15) which was perfect for a winter morning. Among the soft, seasoned potato were strips of corned beef, fresh radish and caramelised onions. 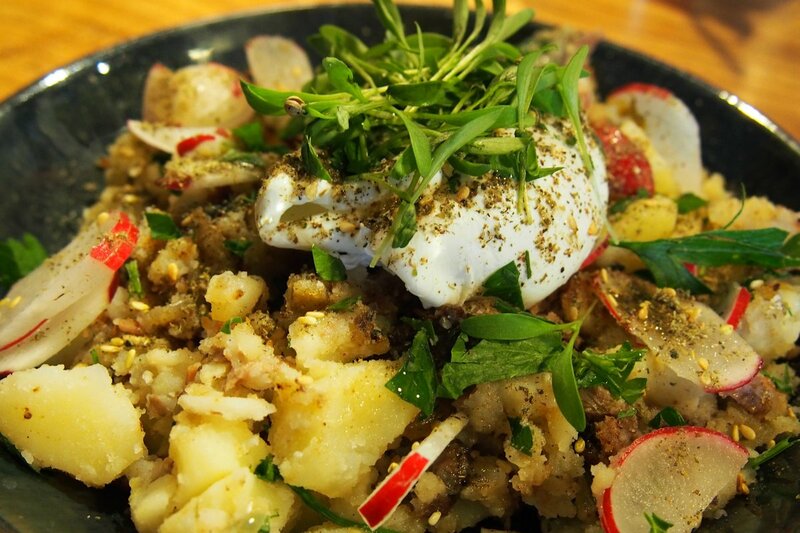 Za’atar and baby herbs are sprinkled throughout and this is topped with a poached egg. While I enjoyed my dish, I couldn’t help going back for another bite of my guest’s bacon and egg roll! 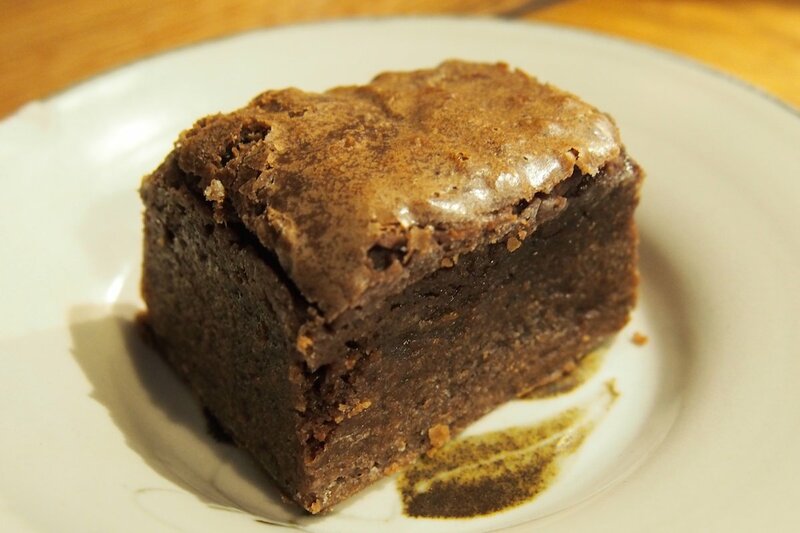 Dense, moist and scrumptious, the chocolate brownie was just one of many sweet items available this morning from the counter. The muffins also looked heavenly. Even though it changes, to give you a taste, some of the current items on the menu include bircher muesli, seasonal fruit and almond cream ($ unknown), breaky roll (roast mushrooms, haloumi, homemade pesto, sunnyside egg and capsicum relish, $10), coddled egg (creamed kumera, fresh parsley, toasted sourdough dippers, $8) or Portabello mushies (pearl barley, poached egg, kale and sheeps feta, $14). If you manage to grab the bench outside, it’s pet friendly but be sure to pay the team at The Copper Mill a visit. Their genius on the menu, love in the kitchen and knowledge of coffee will definitely make it a memorable outing. This entry was posted in Sydney - South and tagged Disabled access, Dog friendly, Outdoor seating, Parking close by, Reasonable prices. Bookmark the permalink.